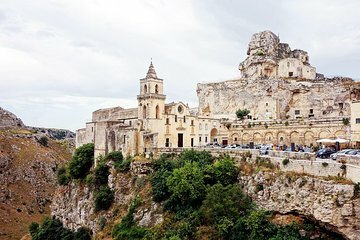 We had a private walking tour of Matera, very informative and interesting, a bit hot to do it noon time in summer months. Casa Grotto was interesting and gives a view of past living condition in the sassi. I can highly recommend getting a guided tour of the Two Sassi . You could try and find your way round but it would be difficult to understand what you are seeing without a guide. Stephanie our guide was great. There are quite a lot of steps and not a lot of shade so take water and sensible footwear.